The Speaker of the US House of Representatives, Nancy Pelosi, is visiting Dublin with a US Congressional delegation.  An Taoiseach Leo Varadkar and Tánaiste Simon Coveney welcomed the delegation on Tuesday, which has begun a two-day fact-finding visit to Ireland. The delegation, led by Ms Pelosi, includes several members of the Friends of Ireland caucus - including Congressman Richie Neal. On Tuesday, the delegation is meeting Mr Varadkar at Government Buildings, following a lunch hosted by Mr Coveney. On Wednesday, Ms Pelosi is scheduled to deliver an address to members and former members of Dáil and Seanad Éireann in Leinster House. 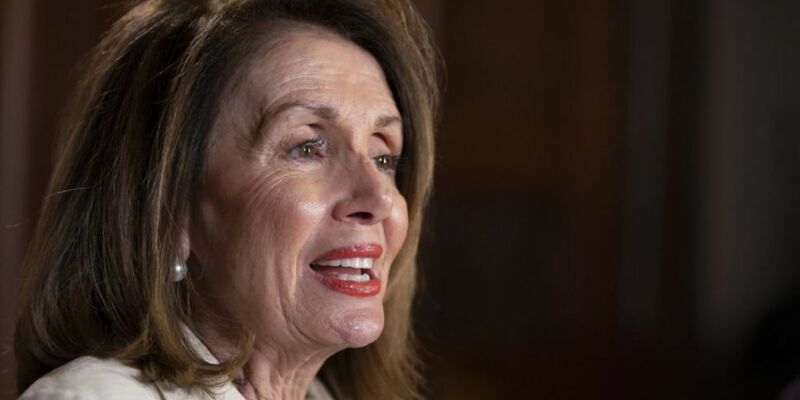 Ceann Comhairle Seán Ó Fearghaíl said: "I am delighted that Speaker Pelosi has accepted my invitation to make this address, which will mark the centenary of the Dáil's establishment and will further highlight the enduring bonds of friendship between our two legislative assemblies. "I am particularly mindful of the help and support given to the nascent Irish Parliament by the United States House of Representatives 100 years ago, and the support given by both Houses of Congress in the intervening period." 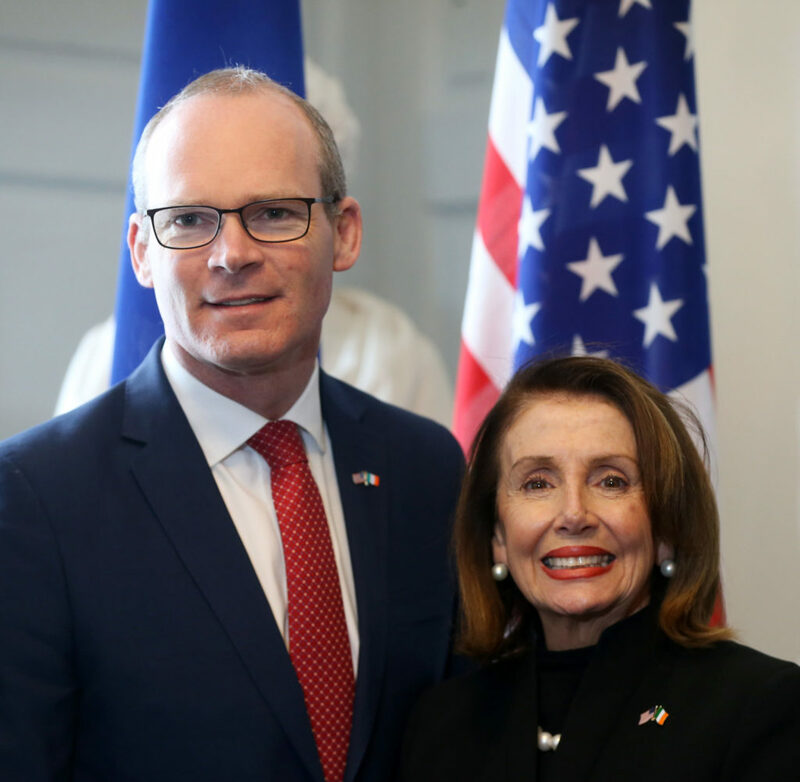 Speaker Pelosi said: "It is an immense honour to speak during the centennial of the Dáil, celebrating the deep and enduring friendship between the United States and Ireland. "I look forward to returning the warm message of friendship that Taoiseach Varadkar brought on behalf of the Irish people when I had the privilege of hosting him at the United States Capitol last month." Also on Wednesday President Michael D Higgins will host a working meeting for the delegation. And later, Mr Varadkar will host a dinner at Dublin Castle in honour of the delegation. Speaking ahead of the arrival, he said: "It's an honour to welcome the delegation from the US Congress to Ireland. Ms Pelosi and delegation are holding high-level discussions with senior government officials and civil society leaders in Dublin, London and Northern Ireland. Speaking at the London School of Economics on Monday, she said there was no chance of a US-UK trade deal if Brexit harms the Good Friday Agreement. She said peace in Northern Ireland must not be bargained away - adding that the agreement was more than a treaty but a 'model to the world'.